Last week while I was getting ready to leave the barn I pulled my phone out of my pocket and saw a missed call and voicemail from Sadie’s lessee, Michelle. Like most horse people, when I see a voicemail from someone who cares for one of my horses, my heart immediately skips a few beats. I hit play and my ear was immediately assaulted by very very loud baby horse screams. Lots of them. Very high pitched. On and on and on. Then I hear Michelle’s voice say “Just thought I’d involve you in the weaning process…” and just about died. Most hilarious voice mail ever. Well, at least for someone who has been through the weaning process before and knows how annoying those sad baby horse screams can get. She also texted me this video of poor baby Merlin being Very Pissed Off about the loss of his milkbar. His new 2yo friend is a poor substitute, he says. Ah, weaning. Fun times. But now that Merlin is officially weaned and Sadie is spending her evenings in the barn under lights, that means it’s almost time for the fun to begin. That’s right – breeding season is just around the corner. The idea is to start early because a) this will be the first time using frozen on Sadie so we want to make sure we have plenty of time for multiple attempts, if necessary b) it’s Texas, we can start early. When Sadie’s dam was bred (in 2006… oh my god has it been 10 years of this already?) I picked out a name before Sadie was even conceived. Well, a registered name at least. She was Westbound before she even existed. I had the barn names narrowed down before she was born – Stella or Sadie for a filly, Bodie for a colt. I’m one of those super weird people that want the name to have something to do with at least one parent, and the barn name has to have some relevance to the registered name. Her sire was Westporte, she became Westbound, and the potential barn names all had something to do with the Wild West. So of course it makes sense then that I’m getting pre-excited about the as yet non-existent Mighty Magic embryo. I’ve been jotting down potential registered names and barn names for months now, because what else does a crazy horse person daydream about? Magico WTW – barn name Mago (Mah-go). Magic Word WTW- barn name Presto, obviously! And then the Potter Nerd in me takes over and starts screaming things like Mighty Marauder! Malfoy! McGonagall! Magic Quill! Mighty Gryffindor! Mighty Sirius (haha see what I did there?)! It is surprisingly difficult to come up with an M name that I like. Granted, you can put Mighty in front of just about anything and make it work. Good thing I’ve got over a year to think about it. You have plenty of time to come up with fabulous names. Maybe you should have a name contest! The winner gets one 5 minute long voicemail of baby horse screams! There are already a lot of those out there, sadly. Seven in the USEA database right now. You mean a completely original HP name is already in use? rude. I’d thought about Erised but didn’t think it through fully the way you just did. I like it! Poor Baby! But I can not stop watching this video. Love that right front kick-out move. Or is this something they all do? Reminds me so much of a human toddler not getting what he wants. Magico for the win. It simple yet satisfying. Gross, no Magic Mike. And yes, babies = drama. Ok I love naming. And as far as M goes, Iove the word Moxie, which I think fits you. Mighty Moxie, Moxie Magic, Moxie Mayhem. I can go on. There’s a triathlon/running team here called Moxie, they’ve kind of ruined the word for me forever. LOVE the barn name Mago. Love. It makes sense that we’d have similar taste in barn names because I love the name Miles. Mighty Mouse? Maybe if your baby ends up being small…. What is the breed? 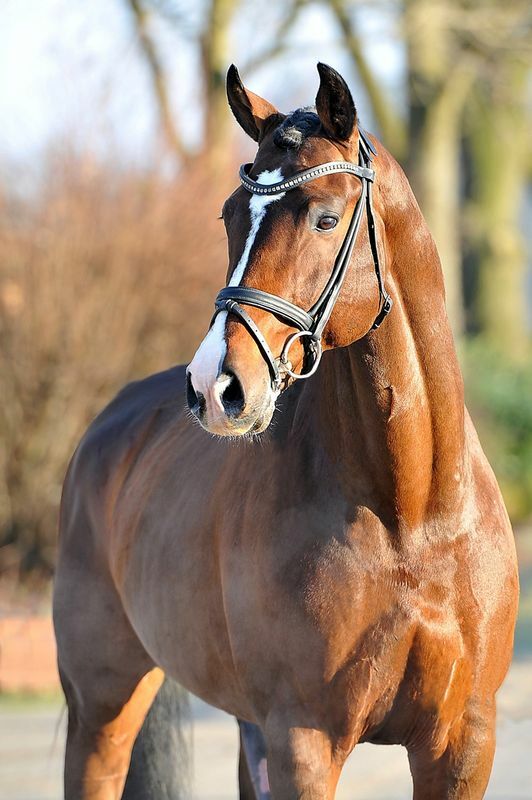 It’ll be Hanoverian/Holsteiner/TB (about 75% tb and the rest split equally between HAN and HOL). My mare is 16.3+ and the sire is 16.2 so I doubt it’ll be small! Merlin is Sadie’s first foal and he’s a giant. What a GREAT mix! And yeah. Maybe the Mouse part doesn’t work so well.. I never knew such a thing existed but kinda love it! It’s amazing. I love that it calculates the blood percentage. Merlin is adorable in his little pink blanket. first of all. Merlin. omg. secondly – i am excited for this as-yet-nonexistent MM baby in a way that is maybe kiiiinda weird for an internet stranger. just saying. also i kinda like Presto! or the french names. good luck choosing! oh, and with all the other stuff too lol. I am kinda obsessed with names and I just have to give my 2 cents. Magic Word is a cool registered name but then in combination with the barn name Presto, it is just awesome! Presto is such a unique call name. Love it! I may also be a huge Potter fan and I am diggin the Potter names. I am stuck on Mad-Eye Moody, Mighty Mugwump, Minister of Magic, Metamorphmagus, Mandragora, etc. I would say Moaning Myrtle, but uhhh, perhaps moan shouldn’t be in a name. Ooo Minister of Magic! Love that too! I thought of that one too, but by the time you add WT W to the end of it, it becomes quite a mouthful. Love it! I took a long time naming Indy. I had an idea of a registered name, but wanted to wait till he came out. Of course, I thought it was going to be a filly! Then it took me about a week. I wanted to get to know him better and see what he was like before naming him something. You are good with names!!! I always have the hardest time!! You are keeping this baby if I remember right? So exciting!!! Yeah, hoping this one is a keeper for me.